AFTER not winning a game in 2017, Oakleigh Chargers powered to three wins in 2018, including an impressive victory over Gippsland Power in Round 1 – their opponents tomorrow. Female Talent Manager Jennifer Phefley said the girls were able to build on their initial season and put in some impressive performances throughout the year to hold them in good stead for 2019. Oakleigh finished the year with two draftees – Collingwood taking Katie Lynch and North Melbourne adding Daisy Bateman. 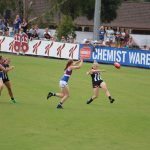 Both girls had tasted Victorian Football League Women’s (VFLW) action with Collingwood in the 2018 season post-TAC Cup Girls. 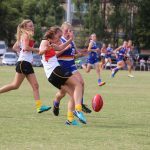 Phefley said the experience had built on their time at the Chargers and set them up for a successful transition into the AFL Women’s competition. Like a number of sides, Oakleigh focused its pre-season attention on strength and conditioning. It was an area of improvement identified last year, and Phefley said the girls were taking the changes in their stride. While they felt the team might have been less prepared for the 2018 season, the Chargers Female Talent Manager said 2019 was a different story. 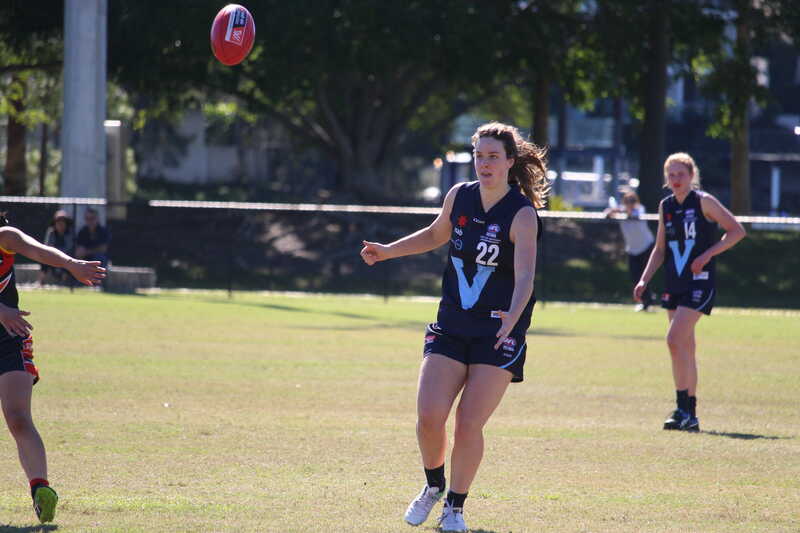 The top prospect to watch in season 2019 is the silky-skilled Gemma Lagioia who roams between the midfield and forward lines. Phefley said Lagioia was a smooth mover who has a game-turning ability. Emily Harley is a tall target who switches between forward and defence, and was recently named as vice-captain of the Chargers. Phefley said she might be in for a change of role in 2019, still playing forward but spending time in the midfield to use her stronger body to the teams’ advantage. Phefley said the other player who could catch attention this season is 19-year-old Amelia Peck, who is the Chargers’ tallest player at 183cm. She is described as “very strong, (and) has got very good hands overhead and below her knees” and could become an important player for Oakleigh. 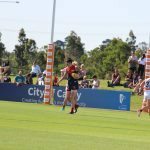 Looking beyond 2019, Phefley said there was a lot of developing talent at the club, with some players already showing leadership on and off the field. While Phefley has remained on board in the female space, long-time Male Talent Manager, Craig Notman headed to Tasmania to manage the new Tasmanian Devils side. 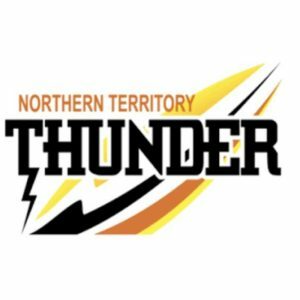 A number of other talent managers switched allegiances, including Western’s Jy Bond who moved from the Jets to the Chargers over the off-season. 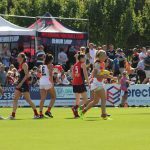 Looking out to Sunday’s clash with Gippsland Power, Phefley said the team was raring to go, and wanted to bring the heat while building both individual and team development in 2019. IN the midst of Year 12, Katie Lynch had a lot on her plate. 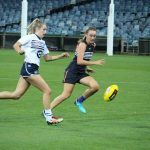 She featured in the TAC Cup Girls competition, represented Vic Metro, played for Collingwood in the Victorian Football League (VFL) Women’s competition and balanced school sport commitments as well. Although it was a difficult situation to be in for Lynch, she says she had no choice but to take those opportunities that came her way. Now, she finds herself on Collingwood’s AFL Women’s list, with the club selecting her with pick 10 in the draft. Lynch says although it was unexpected, she was relieved to hear her name being called out on draft day. 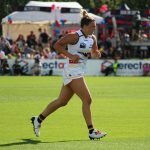 Lynch has already experienced playing for the Magpies, having played with them in the VFLW, meaning she will be able to continue playing with some familiar faces. This also signals a new opportunity for Lynch to mingle with the new draftees, who she regards quite highly. 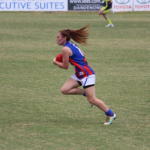 The 18 year-old admits the VFL experience, along with the TAC Cup Girls and AFL Women’s Under 18 competitions, have helped her adapt to different game styles. This is something that she hopes will hold her in good stead for her upcoming stint in the AFL Women’s. Despite the simplicity of playing the game, Lynch admits she is is still coming to terms with being an AFL Women’s footballer, not accustomed to the prestigious title. Growing up as a Richmond supporter, Lynch has quickly adapted to the black and white, donning the stripes for both the Oakleigh Chargers and Collingwood Magpies this year. Now she will have the opportunity to continue to dominate in those colours at the highest level.